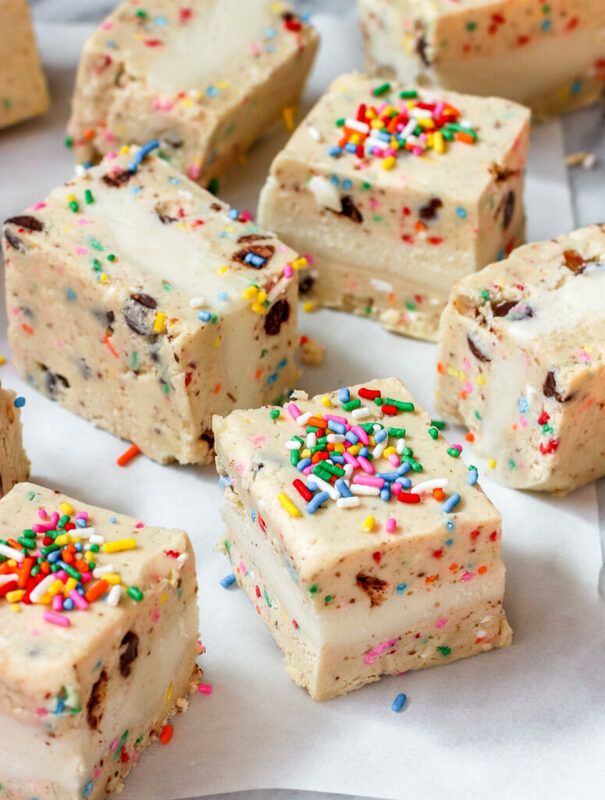 A few weeks ago I made these Vegan Funfetti Cookie Dough Ice Cream Sandwiches for a friends party and posted a quick picture on Instagram and well… you all totally died over them! The funny thing is, the basics of this recipe already exist on my website as I used my Vegan Funfetti Cookie Dough recipe as the base. Since I truly love you all I have now posted a separate recipe for these ice cream sandwiches on the blog. 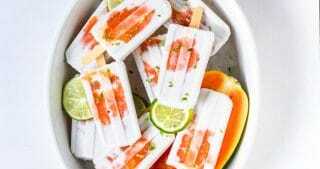 Consider these your last hurrah of summer and enjoy this bonus recipe today! Please note, any vegan ice cream works! While I used vanilla ice cream for this recipe, you can use whatever your heart desires in-between these layers of cookie dough goodness. The best part is? Since it’s vegan you can eat all the cookie dough you want. So what are you waiting for? 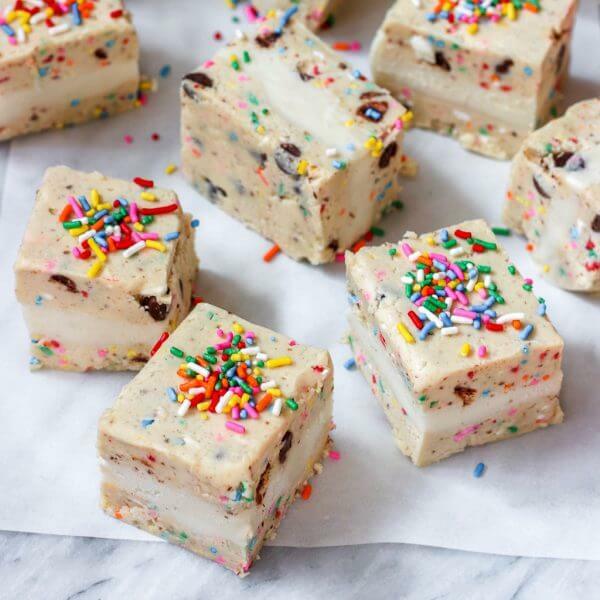 Go out and make this absolutely addicting Vegan Funfetti Cookie Dough Ice Cream Sandwiches today! You’ll definitely need Parchment paper to get lift these sandwiches out of the pan! I like to use an Unbleached Parchment Paper for all my baking. Some of my favorite vegan rainbow sprinkles are the pastel colored ones from India Tree & I used the Mini Vegan Chocolate Chips from Enjoy Life for this recipe too! 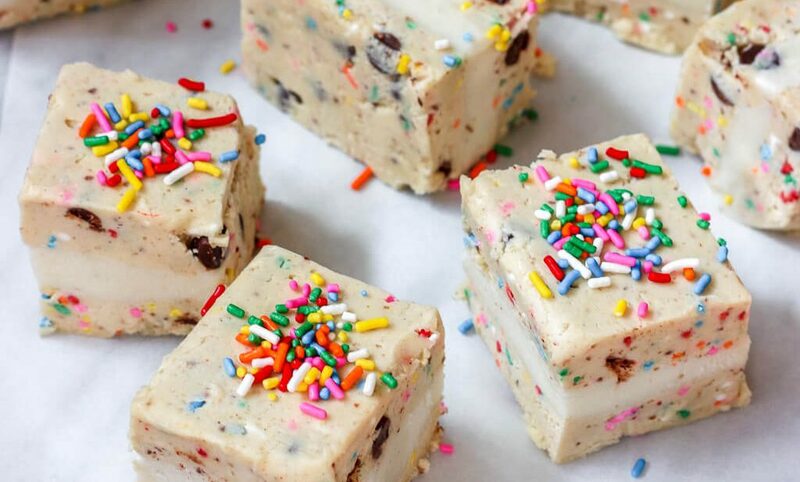 Makes for the perfect vegan funfetti combo! Before making the cookie dough, remove the ice cream from the freezer to soften. Also prepare the flax egg. In a standing mixer combine the flour, room temperature vegan butter, cane sugar, flax eggs, and vanilla extract and beat until a thick batter is formed. Next, fold in 1/2 cup of the rainbow sprinkles and all the chocolate chips. Line an 8*8 inch with parchment paper so that the parchment paper is hanging off the sides of the pan and completely covering the inside. Take half of the cookie dough and press it into the pan until completely flat. Top the layer of dough with the ice cream and smooth completely. Add to the freezer until the ice cream is completely firm again, about 15-20 minutes. Take the remaining dough and add on top of the ice cream using your hands or a spatula to flatten, making sure to not squish out the ice cream. Add back to the freezer for 15-20 more minutes until sandwiches are completely frozen. Sandwiches can also be left in the freezer overnight and cut the next day. Remove the pan from the freezer and carefully lift the parchment from the pan. Use a large knife (ideally the length of cookies) to cut the cookie sandwiches into 9 even squares. Trim the edges of the outer slices if needed. Top the slices with the additional 1/4 cup of rainbow sprinkles and enjoy.